Thank you for considering Wild Love Preserve. 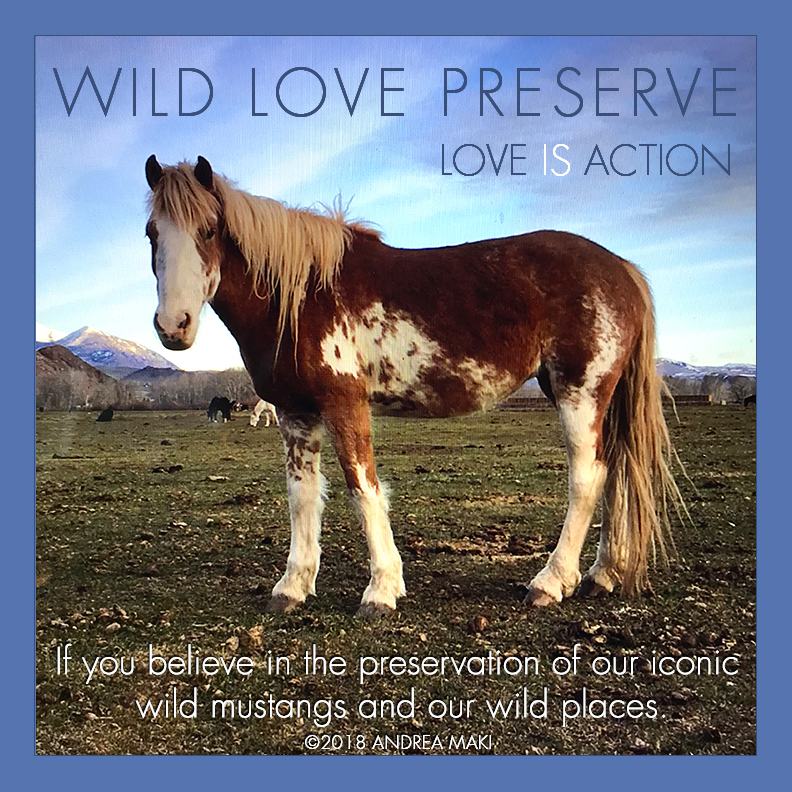 As a 501(c)3 non-profit, Wild Love Preserve’s legacy project includes our inclusive wild horse conservation programs, conflict resolution, education platform, comprehensive range health, and our 10,000-acre wildlife preserve at Twin Sisters in the heart of Idaho wild horse country, which is teeming with indigenous wildlife and will serve as permanent home to our current 136 Challis-Idaho wild horses and future Idaho wild horses. Wild Love Preserve is made possible by generous philanthropic donations from corporations, foundations, and individuals. 100% of every donation supports our campaign to raise necessary funding for the acquisition of our wildlife preserve, which we have under contract, and our subsequent transition from our leased 400-acres to our permanent home that will be protected in perpetuity. From the start Wild Love has been a WE project to show what we can achieve by working together. If you believe in the preservation of America's iconic wild mustangs and our wild places, we hope you will join us on this international day of giving. Your support translates to lasting wildness for wild horses on their native turf and respective indigenous ecosystems as an interconnected whole for generations to come. Love is Action. Donate $55 and receive a special limited edition of our signature Wild Love Stuffed Pony as a Thank You Gift. Donate by December 17 to ensure you receive before December 25. We are happy to ship direct to recipient with special card acknowledging a donation has been made in their name this holiday. Our special limited edition signature Wild Love Stuffed Ponies are soft and cuddly, tipping the cuteness scale. Kids (and adults) can't help but love them. Shop with Purpose: Do your regular Amazon shopping at smile.amazon.com/ch/27-3729450 + Amazon donates to Wild Love Preserve. THANK YOU FOR YOUR SUPPORT AND THE DIFFERENCE YOU MAKE!